Summer is a long break and when you have children at home, it can quickly get costly to do outings together. The Kids Skate Free program offers family a big break this summer. 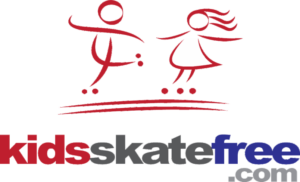 Below are listed all of the skating centers that are part of the Kids Skate Free program. To view more details on each center please click on their name. You will then be brought to their page where you will be able to sign up and start skating for free! Want to know of these events or deals as they come up? Sign up for our weekend newsletter and we will let you know whats happening every weekend.